Welcome to a new challenge at Freshly Made Sketches. Our latest sketch has been designed by the wonderfully talented Linda Callahan. I put a put of extra love into this card because I made it for my mum for Mother’s Day. I always stress when it’s time to make my mum a card as I want it to be just right and make her feel a little bit special. She might just love Stampin’ Up as much as I do! I love that we have this in common. The flowers and leaves that I have used on my card are from Stampin’ Up!s Birthday Blossoms. I have given them a little watercolour love with Fresh Fig and Old Olive Inks. I then used my Fresh Fig Marker to give more definition to the petals. There was quite a bit of fussy cutting between the flowers and leaves, but I don’t mind the time it takes as I’m generally singing along with my 80s music playing in the background. The sentiment I’ve used is from a retired Stampin’ Up set called Oh So Succulent. Behind the main panel I have used a light woodgrain DSP. This pretty paper is from Woodgrain Textures Designer Series Paper Stack. My Whisper White Cardstock is matted with Fresh Fig Cardstock as I liked the contrast of this bold colour behind the white. The Clean Team have designed gorgeous cards that will no doubt inspire you. Head over to Freshly Made Sketches and take a look. Very special card ,would love to be able colour as well as you Narelle…..
Lovely lovely flowers! 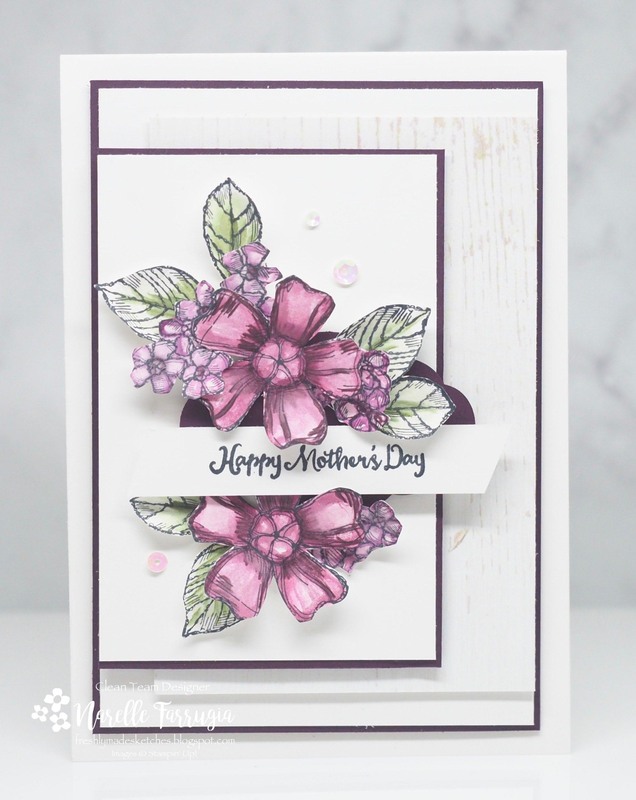 Beautiful card for Mother’s Day! I’m right there with you when it comes to making cards for my mum – extra special love and care goes into those cards. 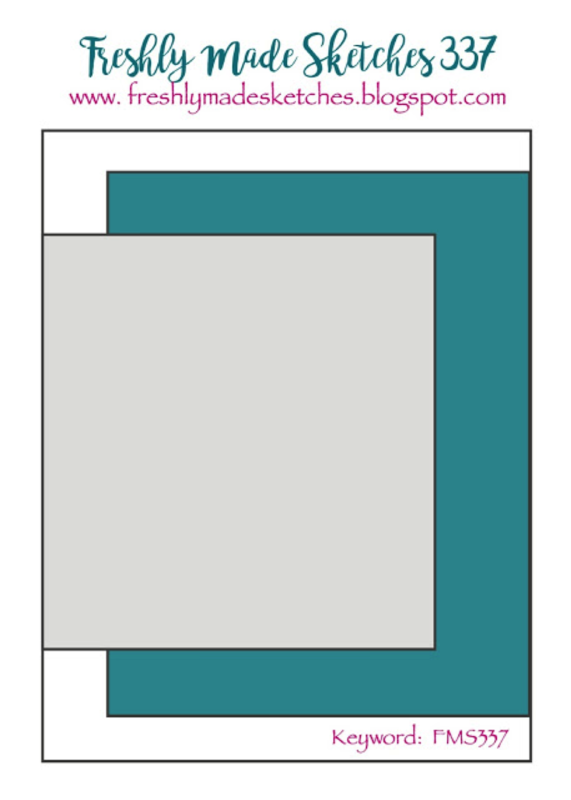 And it shows in your card – just gorgeous! I’m sure your mum loved it. 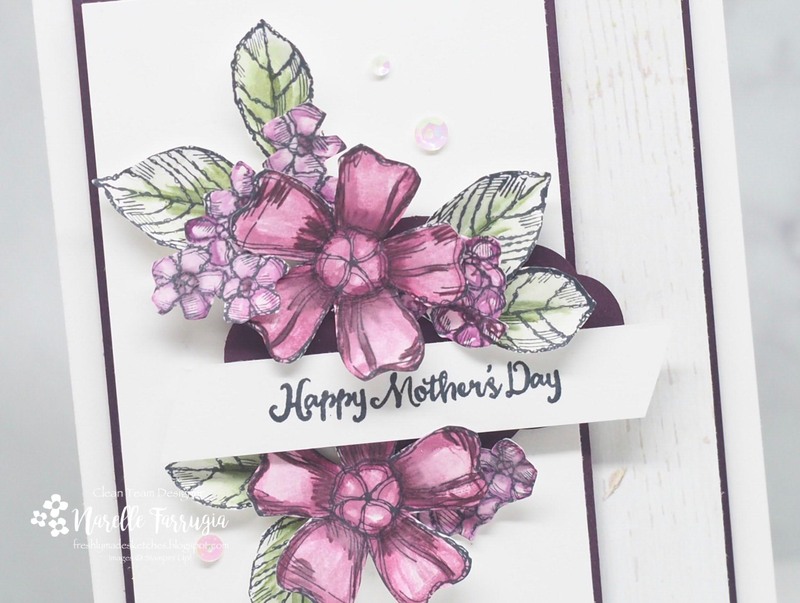 This is such a gorgeous card Narelle! I love those flowers! They are beautifully coloured! You are such a patient fussy cutter!!! I’m sure your mum loved her card!!! I agree, Narelle, its super hard to make THE special card for someone so precious to us. I also think its beautiful you share your love of creating with your Mom. I’m sure she absolutely treasures your cards and knows exactly how much love goes into each one. Its GORGEOUS! I am quite sure that your Mum loved this card to pieces. What a gorgeous flower and your coloring is spectacular!